Once you understand this concept, you can start to experience the transformational benefits it can bring into your life and business. The VCP curve is the process of moving from invisibility, to becoming visible. Once you establish visibility then you need to reach a state of credibility, then finally achieving a level of trust that brings profitability from your time, efforts and energy. When you network as a way to grow your business or support personal causes, you are visible. When you take on a leadership position, you have immediately positioned yourself to be visible. Whether you like it or not, visibility comes with the role and responsibility of leadership. Being visible is easy. You can be physically present and visible by attending networking functions, meetings, showing up for work, taking care of clients, vendors and even doing things with colleagues. Belong to any online networking groups? You have a digital life. 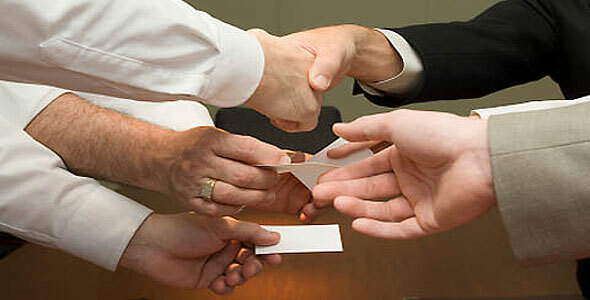 You have a level of visibility even if you do not participate in the online activities of the groups. Are you a member of any service club, trade organization, church, community groups? Do they have a roster of members? Do you attend their meetings? You have a level of visibility here. Ever stand in line at the grocery store, at the bank or even wait to get into a local sporting event? You are visible here too! Why does awareness of your visibility matter? Being visible is easy. Just because you are visible does not mean you are credible. Being credible when being being visible is a goal effective leaders strive for. How does learning to lead yourself first, and have a goal to move up the VCP ladder matter? People will follow those who they trust. It takes a long time to build trust, takes a few seconds to break it. If you are visible, but not credible, people will not trust you. Think you will get abundant, quality referrals without strong credibility? Think again. Think you will be a great leader when what you say and what you do are not in alignment? Think again. What is needed to lead yourself and move from invisibility, to visibility onward to credibility? The most effective leaders live and work with transparency and personal integrity. They are highly aware that everything they do while at work or play, is a direct reflection of who they really are. Ever seen a doctor who is clearly overweight and out of shape? They stand before you huffing and puffing. Sweat dripping down their neck, forehead and face because all they did is walk to see you? Yet, this very doctor tells you that you need to ‘loose weight and start exercising’ to cure your ailment. Ever call a business with a concern, or problem you need help with and the customer service person says in a rote way “I’m sorry for your problem”… but what you feel on the phone is that they really don’t care? You can tell it’s simply just a statement they are trained to say. How does that moment make you feel? Does it add to the problem, or do their words (without feeling) provide comfort, peace and a lead to a resolve? Those are two simple examples of people living, working, talking and yes, even ‘leading the moment’ without integrity. Both stories show a type of visibility, but both lack credibility with their words and actions. What you say, what you do, when you do it, how you do it and with whom…matters. Great leaders need to be consistent in all they do. It’s easy to fake words. Faking behavior is not so easy – especially over the long term. Some people will say anything to anyone to get what they want. This is not leadership.It’s manipulation. This type of person does not live with integrity. The words they say may sound sincere, but sincerity is no guarantee for truth. It’s easy to sound sincere if the first person you lie to is yourself. This is where the real opportunity to lead yourself really presents itself. Are your words, thoughts, actions in alignment all the time? Everywhere and with everyone? Or, do you think,speak and act one way with some people, then change how you speak, act and think with others? Do you put on your ‘best behavior’ hat when you network, or work with clients face to face- and turn around criticize, judge, demean or speak ill of them behind their back? Have you boasted about how important people and relationships are only to blow off meetings, show up late all the time, come in half prepared? What about those days where little challenges that frustrate us all have you reach a point where to complete strangers you are rude, obnoxious, belligerent simply because you feel entitled to do so since you are having a bad day? What if this ‘bad day behavior’ happens often- and unbeknownst to you, one of your best clients, who you’ve told how much you value people – sees you from afar treating others this way? Do you think he will be your best client very long? Do you think he will refer his trusted friends to you? You need to be able to lead yourself first with integrity, authenticity, transparency and willingness to ‘do what it takes’ to be your best. Not there yet? That’s o.k. You have a place to start. Are you already there? Congratulations! The best leaders will never ask anything of others that they themselves will not be willing to do. Ask yourself to be your very best self. Be aware that your VCP is in play at all times. You can move up the VCP curve. You can also move down it. You can move down it so far and fast that you might not be able to easily recover. Be attentive at all times. 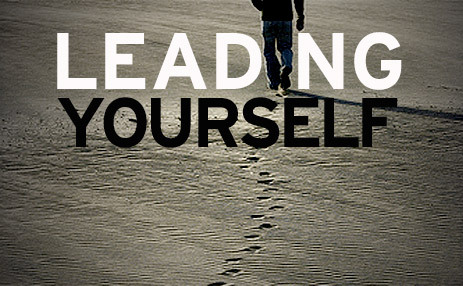 When you lead yourself first, you set the example. You learn through experience what it takes to have the commitment, discipline, dedication, and learning curve of how to humble your heart, set aside your ego. Start to live with honesty to your own self, in all areas, at all times. I am not talking about being a perfectionist – nor being perfect. No one is perfect. I am talking about having an awareness of your strengths, your good qualities, your great qualities. What are areas in your life and skill sets are at a place of excellence right now? What are areas in your life and skill sets that could use improvement? Where do you need support? Who can you reach out to mentor, train or support you? Live each day, one day at a time. Great leaders are life long learners. Learning to lead yourself takes time. Just remember this: the concept of “Do as I say, not as I do”… doesn’t work for effective leadership. Your actions DO speak louder than words. People today have access to more info, more ways to spread info about you. When you lead yourself first, get your house in order. Then you will have more insight, wisdom, an authentic voice when it’s time to network and time to lead others. Lead yourself with excellence so that when people talk about you, it builds your reputation. This is vitally important when you are eventually in a place to lead the leaders. You are reading this to increase your skill sets and understanding about how to be a leader when networking. The people I work with most often want results. To get results your networking time, you need to ‘walk the walk. Effective Networking is about building deep, quality relationships. Relationships take time to develop. During that time, you are really building and increasing the trust factor between you and those you network with? Depending upon your reason for networking, it may not be the relationship between you and your networking circle that matters. It does, (very much)- but often, when business professionals are networking, their goal is to have access to the people your ‘people’ know. When you lead yourself with excellence in all areas, the bond, trust between you and your first level contacts will be strong.That’s important when they go to vouch for you to their contacts. Those contacts might be their friends, family, peers, customers, vendors, acquaintances. When you are networking, your reputation (built upon your words, actions, deeds, attitude, ethics and ability to deliver that which you say you will) has a direct impact on the reputation and quality of relationships the person who refers you has with their contact sphere. The risk is high when we work by referrals. If you are looking to network for many years to support your businesses, your personal life, your passions or even your social responsibility causes… your ability to lead yourself first…matters. Question: What is one action you can take that will increase your credibility? Share your answer on Facebook, Twitter, or LinkedIn. Here’s to you taking action to lead yourself! VCP® was developed by Dr.Ivan Misner. Dr. Ivan Misner lives a full life. An entrepreneur, businessman, philanthropist, and bestselling author, he has achieved enormous success in each field. He is the Founder of BNI, the world’s largest business networking and referral organization. In addition, he is the Senior Partner for The Referral Institute, the world’s leading training company on referral marketing. Networking is not a new concept. Leadership is not a new concept. Leadership when networking is a new concept. It is simplistic, yet profound. What is it that people do when networking that clearly identifies them as a leader? What is it that they need to know in order to be a leader when they network? Why is it important to understand this concept — especially in today’s new business community? Debbra Sweet, a leadership development expert specializes in change management in the areas of marketing, business, leadership, and wellness. She’s a lead author in the book titled “The Power of Leadership in Business Networking”, book four of the twelve book series. Debbra spoke to a full room of North San Diego county business owners and professionals on this topic at the Carlsbad Chamber of Commerce’s First Friday Breakfast, which was held Oct. 7 from 7 a.m. to 9 a.m. at the Hilton Garden Inn, Carlsbad Beach, 6450 Carlsbad Blvd. Sweet gave tips that will helped attendees hone their business networking skills to get results. Sweet has been called a “people mover,” as she has the ability to move people to take action and get lasting results in their businesses and lives. Her insightful, interactive and powerful presentation based upon her book engages attendees to understand how their thinking and actions influence their results from networking. • How to choose the right system to support your networking success. • How your social footprint precedes you. The First Friday Breakfast is the Chamber’s premier networking and business promotional event and one of its most regularly attended monthly programs. Another attendee, Christine Blindell complimented Sweet’s delivery and style saying “She (Sweet) was one of the top two presenters of the year at these first Friday Breakfasts. Sweet, who also is the lead voice on The Power of Leadership Radio is known around the country as an expert in Networking, Leadership, Sales, Marketing and Wellness. Her fresh perspective on sometimes controversial views how people today are able to be amazing leaders is leading many to rise up in ability to lead, professionally and personally. Debbra Sweet is never one to be happy with the status quo and she’s not afraid to help others move out of their comfort zone to achieve results. Sweet believes there is a severe lack of leadership skills prevalent in society and in the world today. It starts with government and trickles down to the family unit. This lack of quality leadership is the cause of most strife and unrest in the world today. As leaders are growing ever weaker in their leadership skills, the youth of today grow up to be weak in leadership skills themselves. This has an ever downward spiraling impact on the way government and business operates and how adults raise their children. Instead of complaining about the way things are, she made a choice. She chose to embrace the calling of being in leadership roles that were placed before her for many decades. She made a choice and decided to do something about it. She is a voice that is changing the way people think and act about leadership. She is moving people to take action for improvement and betterment. 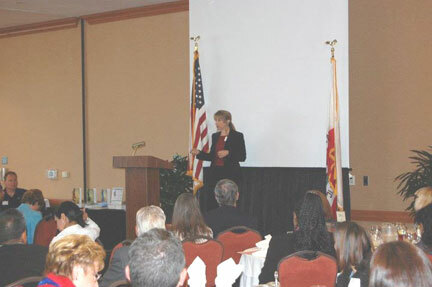 Since Sept 2nd, 2011 as aLeadership Skills Development Training Expert I have been a featured speaker monthly at the Vista Chamber of Commerce Book Club. Friday September 2nd was the first month of the Vista Chamber of Commerce’s Business Breakfast Club. The Business Breakfast Club is a Networking group that promotes, teaches, shares and practices “best practices” in Business. As an author of “The Power of Leadership in Business Networking” I has been the guest facilitator/teacher. 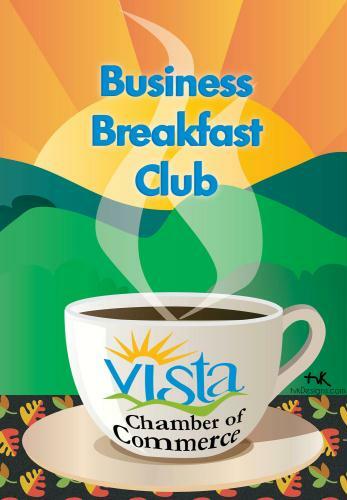 The Business Breakfast Club will meets every other Tuesday at 7:30 a.m. at the Vista Entertainment Center. As a leadership development expert Ispecialize in change management in the areas of marketing, business, leadership, and wellness. I have been invited to be a regular speaker and trainer for the new Friday Morning Networking program being offered through the Vista Chamber of Commerce. As a resident of the Vista community since 1993 I saw this as a perfect way to give back to the local businesses in the area. My expertise in leadership and many years of experience as a certified trainer of Word of Mouth Referral Networking has positioned me as a leading expert in this topic. The lead author of “The Power of Leadership in Business Networking” book series, the voice of “The Power of Leadership Radio” as well as a much requested speaker and trainer on the topic of leadership and networking, I actually have developed a special series of interactive learning workshops for the attendees of the First Friday Book Club. My years of teaching and building businesses by way of integrating word of mouth marketing and networking along with other methods of effective marketing has gives me a unique perspective as a leader in this area. My track record is strong as she has helped many businesses develop ROI in the millions with her knowledge, teaching and training on this subject. “Unfortunately, there are many people who come to networking situations with lack of knowledge that every thing they do has a direct result on whether they will, or will not, achieve the goals they set forth with their networking. My professional and personal experiences validate my reputation with other business owners. People are looking for someone they can look up to, aspire to, someone who is easy to talk to on a personal basis. That is exactly what I do. I am relatable. I do my best to be a people’s person and a great mentor of success.